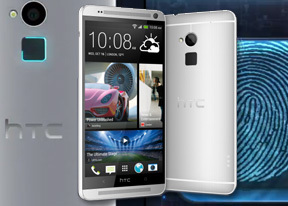 The HTC One Max can shoot videos at up to 1080p resolution at 30fps. It has an HDR option for the video, but enabling that causes the framerate to fall to 28fps and the field of view gets narrower. It also supports 720p @ 60fps high framerate video recording. The camera features continuous autofocus and you have the option to lock the focus during video recording, if it hunts too much in dynamic scenes. Videos are recorded in MP4 files with a 20Mbps bitrate - among the highest we've seen. Sound is captured in stereo with 192Kbps bitrate and 48kHz sampling rate. Framerate wasn't a solid 30fps and sometimes would dip as low as 28fps. The camera features some very good resolved detail, which it retains even in low light. Colors are slightly off (oversaturated), but not as much as most other phones produce, and there is a good amount of noise which gets introduced under low light. Still, the One Max features one of the better camcorders we've seen, as long as you stick to 30fps (more on this below). Unfortunately for it, the device that captures the best videos around is its direct rival - the Samsung Galaxy Note 3. Here is a FullHD video sample captured with the One Max we uploaded to YouTube. You can also download an untouched 1080p sample (0:14s, 37.0MB) taken straight off the HTC One Max. HDR videos capture more detail in the highlights, but don't do much for the shadows. The white balance is off (videos have a purple tint) and the colors are duller. Combined with the narrower FoV, we'd only enable HDR for videos as a last resort when shooting against the sun. 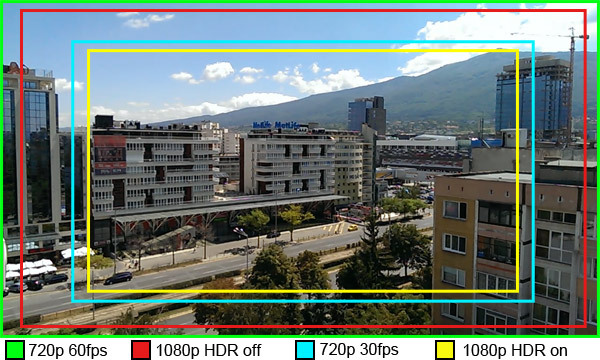 Keep in mind, however, that the field of view get significantly narrower during HDR video capture, which means you'll be able to fit much less into the frame than you normally would. Note that 720p mode also has a narrower FoV, nearly the same as the 1080p HDR mode. There's a 60 frames per second mode on the HTC One Max but it reduces the maximum resolution to 720p. This doesn't sound too bad, but the actual output is pretty bad. There's very little detail and even though the clips are really smooth, we'd advise you to stay away from this mode. Oddly, we found that the 720p @ 60fps mode has the widest FoV, wider than even 1080p with HDR off. We've added the HTC One Max to our video quality comparison tool. Here it really managed to show what it's capable of, particularly when you look at the low-light video where it fared quite impressively.